You can set start, stop levels and a value to per level between start and stop. and value is 5 and then ea will starting to open long trades rsi 70 and each 5 level it will open a new trade till 90. The rule is same is long . 3.You can use time frame to use ea. 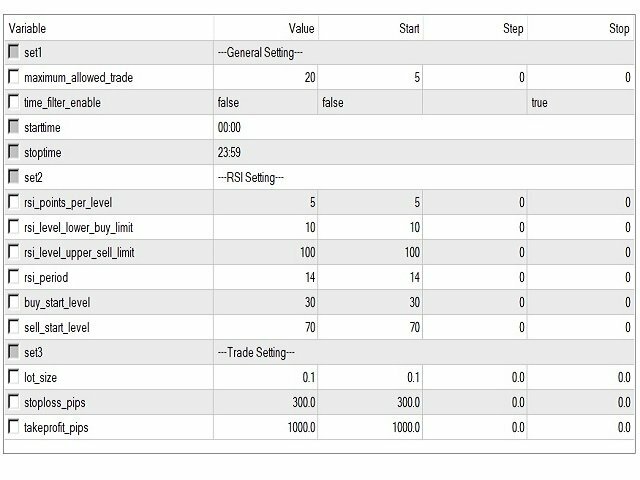 4.You can set maximum open trades. Try it and feel free.